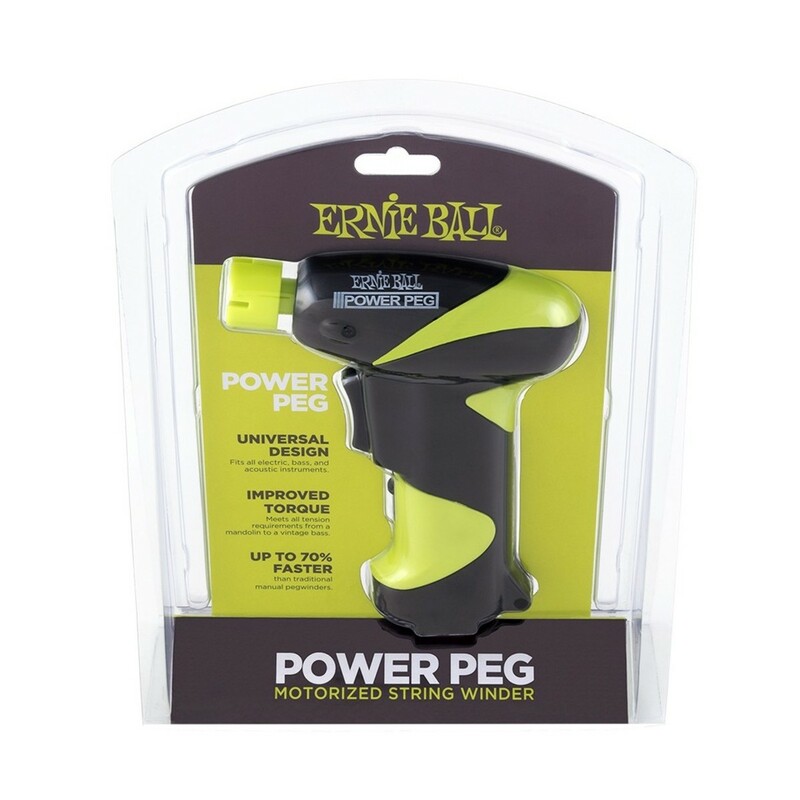 The PowerPeg by Ernie Ball, is the first of a new breed of string winder, a self-contained motorized pegwinder that will allow you to restring your instrument up to 70% faster than a traditional manual pegwinder! The Ernie Ball Powerpeg also features a proprietary universal peg head which fits virtually all bass, acoustic, and electric guitars! Versatile head fits almost any tuning machine, Guitar or Bass. Forward and reverse capabilities at up to 200rpm.